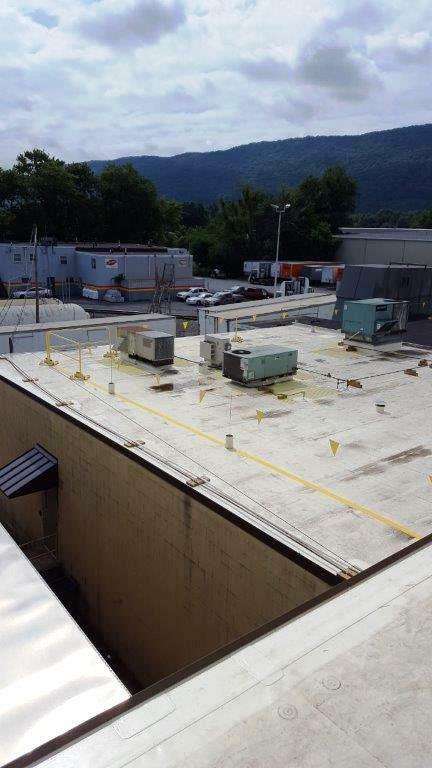 Frito-Lay Williamsport - Evans Roofing Company, Inc.Evans Roofing Company, Inc. 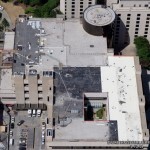 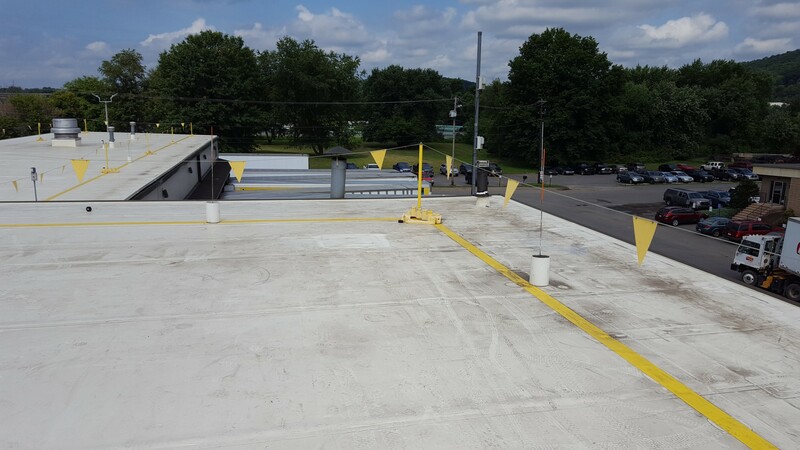 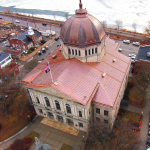 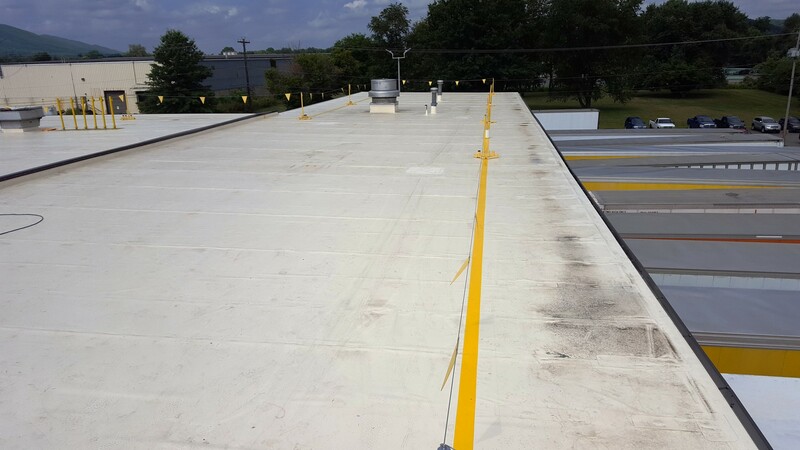 Removed all loose gravel from existing roof system, replaced any wet/damaged insulation, mechanically fastened ½” DensDeck, and then covered entire roof with mechanically fastened 45 mil FiberTite membrane. 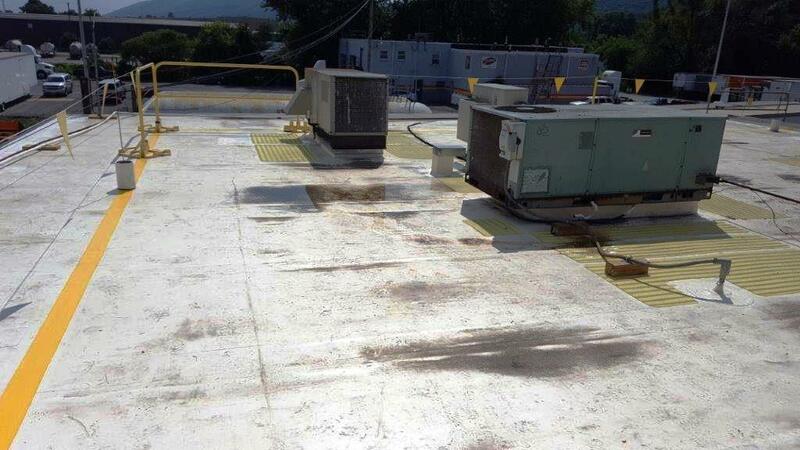 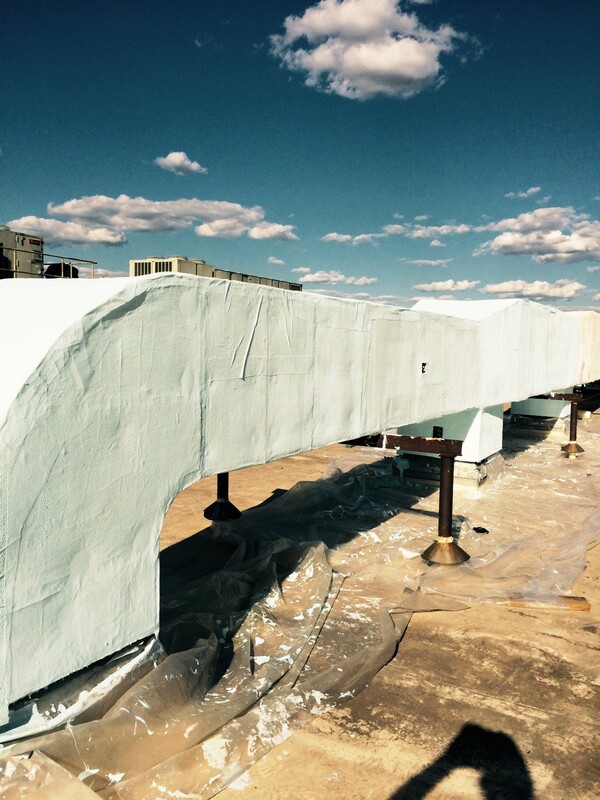 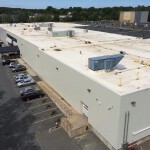 The large duct work on the roof was repaired and coated with Soprema R Nova Plus.